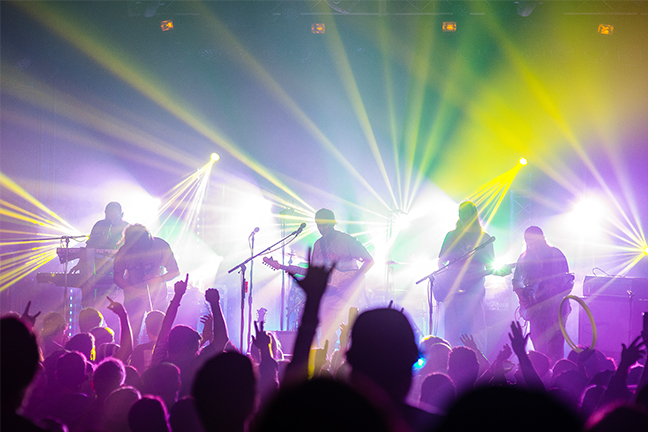 BJ’s candor has fueled American Aquarium’s runaway appeal, visible most clearly in consistently sold-out shows across the country and throughout Europe – between 200 and 250 dates a year. Much has changed for the band and BJ since their acclaimed last effort, Wolves. In 2017, every American Aquarium member save BJ quit the group. 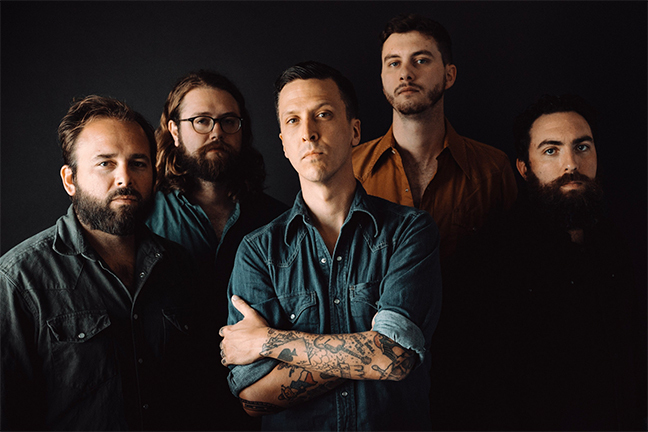 American Aquarium has featured about 30 players since BJ founded the outfit in 2006, and while each member has left indelible marks, the band has always been anchored by the literary songs and sometimes roaring, sometimes whispering, drawl of BJ Barham. BJ’s personal life also underwent seismic shifts: He got sober. He got married. Soon, he’ll be a dad. 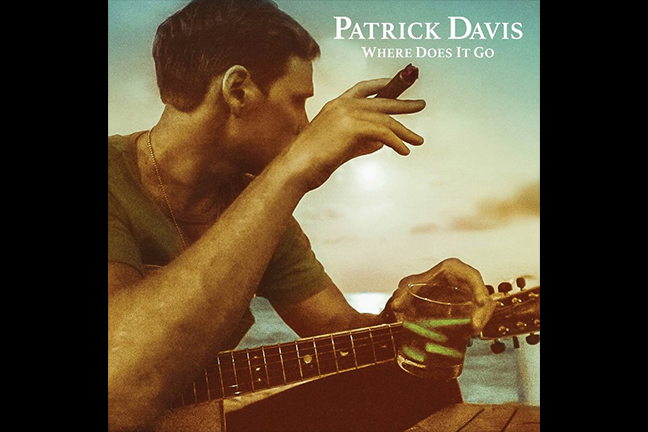 Recorded at 3CG Records in Tulsa, Oklahoma, Things Change was produced by Grammy- nominated singer-songwriter John Fulbright and features cameos from Americana standouts including John Moreland and Jamie Lin Wilson. Brazen album opener “The World is on Fire” is a richly layered rock-and-roll anthem that documents BJ and his wife’s stunned reaction to the last presidential election. Emotional and conversational, the song taps into widespread feelings of confusion and fear: “She said, ‘What are we going to do? 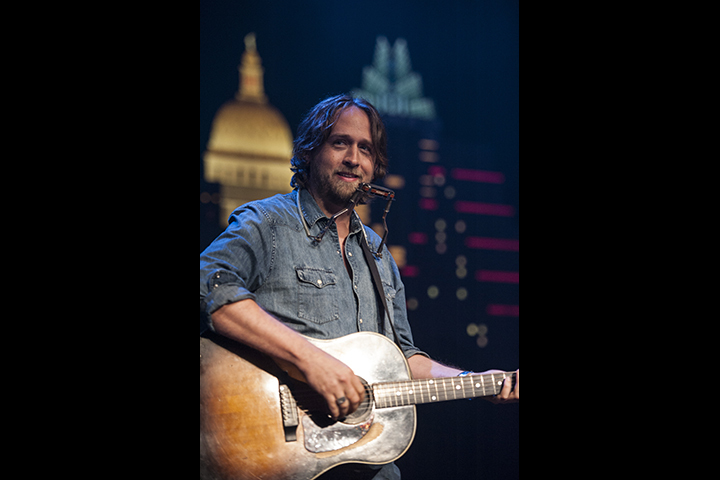 What’s this world coming to?’ For the first time in my whole life, I stood there speechless.” But what begins as despair builds into defiant faith, as BJ growls a call to action to cap off one of his favorite songs he’s ever written. “I’m complaining about the state of things, and then the third verse almost serves as a challenge to myself: hey, you’re in charge of another human being. You can create change,” he says. The album’s love songs are the kind of achingly beautiful that only comes with maturity and a willingness to expose one’s own flaws. Haunting “Shadows of You” recalls a lover’s flight as the protagonist longs for what he let get away. Gorgeous “Till the Final Curtain Falls” celebrates loyalty and pledges endless devotion. The moving title track takes an often doleful topic–– people’s tendency to change––and turns it on its head, tracing BJ’s personal growth and recognizing his now-wife’s steadfast love. Ryan Gustafson remembers very little about the origins of the ten songs on Unsung Passage, his profound new reflection on the emotional architecture of love, loneliness, and life at large. The songs were written during quick spans scattered between various tours of the last two years—as a supporting guitarist for his kindred North Carolina spirits Hiss Golden Messenger and Phil Cook’s Guitarheels and as the leader of his own long-evolving vehicle for a beautifully fractured vision of folk, country, blues, and cosmic American rock, The Dead Tongues. 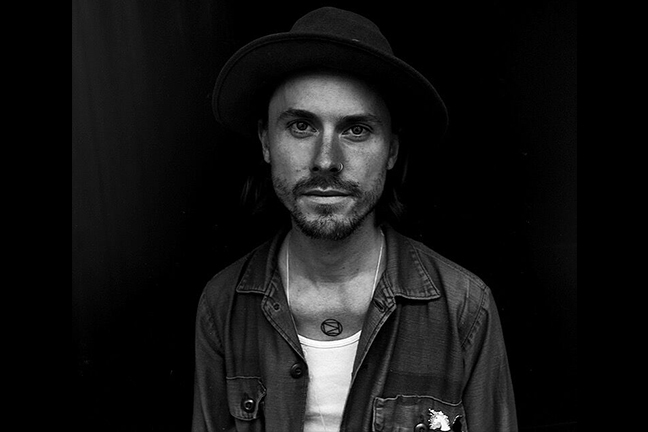 Gustafson’s third and best album under that name, Unsung Passage is a first-person reckoning with the things Gustafson, a chronically peripatetic adventurer, has seen enough to sing about. There are meditations on mortality and devotion (the flute-laced dream “My Other/Little Birdie”), on money and temporality (the banjo trot “The Giver”), and on impermanence and acceptance (the achingly gorgeous “Pale November Dew.”) This isn’t Gustafson’s idle speculation about life and the world; these are the realizations of a restless mind, of a songwriter who sings “this old town ain’t gonna watch me die” and means it. After several years in a commune in the western woods of Asheville, North Carolina, he now lives in a nearby camper, at least when he’s off the road long enough to call anything home. “When I’m traveling, it’s like walking into these different windows. I’m a witness, with my mouth shut,” Gustafson says. “The people you meet, the way the landscape speaks to you, how a desert is different than a mountain: It has the potential to bring out something you didn’t know was there.” These ten songs are snapshots in time–glimpses at the sorts of emotional upheavals and adjustments we’re all forced to face as we move from day to day and, as in Gustafson’s way, place to place. The familiar sounds of Unsung Passage, a reflection of Americana bedrock, present a comforting score for some of life’s most uncomfortable situations. But they will pass. “Ain’t it all right?” Gustafson demands at one point. “Ain’t it all like a dream?” After all that living, it surely is. I think “Lovers and Leavers” comes closer to reflecting that than any other record I’ve made. I didn’t worry about checking boxes, making sure there was something here for everybody, or getting on the radio. I just took some much needed deep breaths and let them out on tape. It’s been a while since my last album by some measurements of time. Not “history of the universe time”, or “getting a bill through congress time”, but in the lives of dogs and recording artists, five years and fifty-three days is only a little less than an eternity. I went through a divorce. I fell in love. Changes were made, realizations were realized, and life was lived. But, I kept on writing songs, on my own and with a cast of accomplished characters who combined their own stories and perspectives with mine. Songs about beginnings and endings. Songs about acceptance and regret. Songs about lovers and leavers. With these songs in hand, I needed a co-conspirator to help me get them to you. I called on Joe Henry, a gentleman poet and an elegant artist who seemed a trustworthy steward for my collection. We recorded this record live in five days, using just an acoustic guitar, a mix of bass, percussion, pianos and organs, and a touch of pedal steel. I didn’t have one song that I knew would be a sing along or would make people dance. I felt vulnerable in a way that I hadn’t in a long time. But I got what I wanted – a record with space, nuance, and room to breathe. It felt right for my art. It felt right for my life. “Lovers and Leavers” isn’t funny or raucous. There are very few hoots and almost no hollers. No, it’s not my “Blood on the Tracks,” nor is it any kind of opus. It is quiet, like I wanted it to be. Like I wanted to be. Alt-pop band, The Roosevelts, formed in Austin, TX and moved to Nashville, TN in 2015. 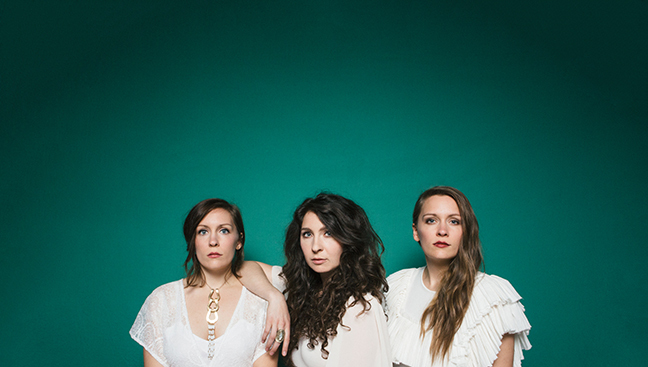 After releasing their debut album in 2016, they packed their schedule with a run of at-capacity tour dates with acts like Johnnyswim, Robert Earl Keen, Green River Ordinance and Grace Potter, a featured spot at the BMI Songwriters Festival in Key West, and spots at tastemaker festivals South by Southwest (SXSW) and Austin City Limits Festival. They kicked off 2017 with a 50 date headlining tour all over the United States. With the addition of new lead singer, Mitchell Kilpatrick, the band has been writing and working on new music. Their show provides a rousing, dance-worthy compilation of songs, but also features poignant tunes that scale the depth of their personality and communicate their story with remarkable power. Having a charismatic ability to connect with fans and a genre-spanning set of songs, concert-goers can’t help but smile and dance – making The Roosevelts a band that music fans of any genre can’t afford to miss. In the course of their 27 year history, Jupiter Coyote has played over five thousand shows, traveled everywhere and done just about everything a touring band can do. The innovative group has independently sold well over half a million CDs, tens of thousands of downloads, and who knows how many bootlegs loose to fans for free. JC is brand name and still trucking along, despite today’s ever-changing, increasingly unpredictable music scene. JC plays it the way they feel it — with little regard as to where they fall between the cracks of what is considered trendy and fashionable. A band prolific in its writing, skilled in its musicianship and congenial in its nature, they remain the prototype of the truly independent band. 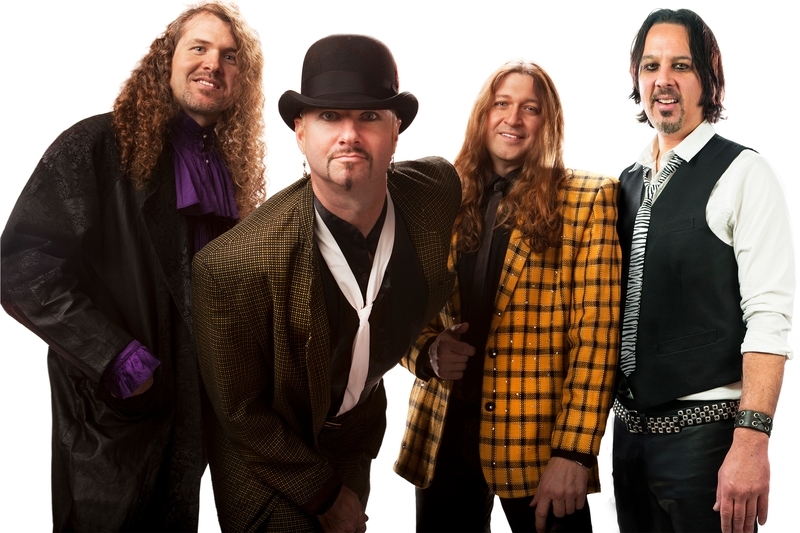 The group traces its roots to Brevard, N.C., where childhood friends Matthew Mayes (guitar, guijo, vocals) and John Felty (vocals, guitars) decided in 1990 to pursue a career in music. 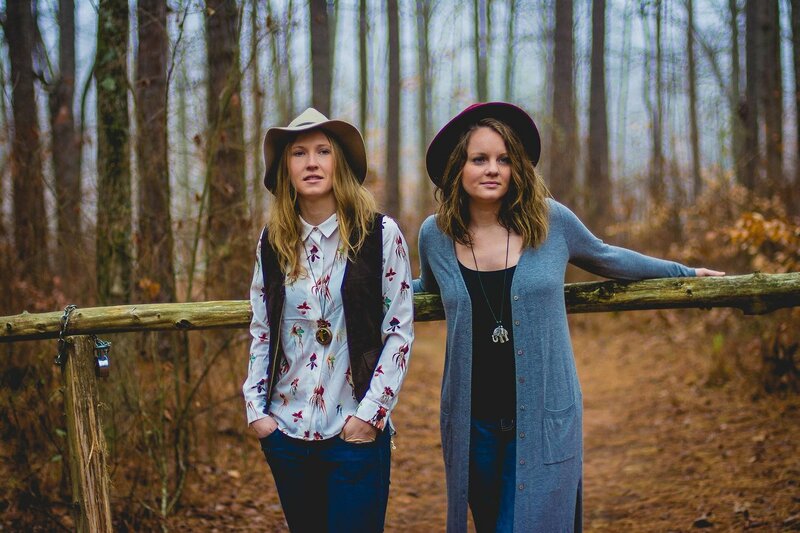 The duo headed to Athens, Ga., where they joined forces with bassist Sanders Brightwell. Steve Trismen (vocals, fiddle) joined the fold in 1999. A native of Boulder, Colo., Trismen’s playing melded neatly into the band’s sound and gave Coyote a new on-stage dynamic. Tasteful and intense, the group’s jams extend higher and the melodies — combined with Mayes’ guijo (banjo neck, Stratocaster body) and Felty’s slide guitar — create a revolutionary sound truly all their own. 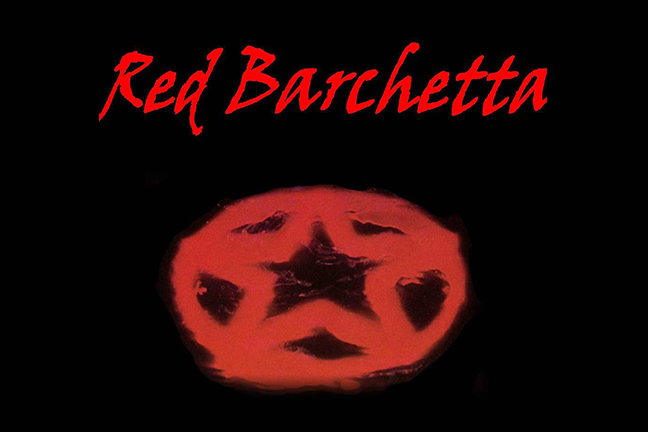 Lot’s of vocal harmony and clever song writing set these guys apart from the rest of the banal, jam band pack. There is no band that sounds like Jupiter Coyote. In essence, Jupiter Coyote is a musical stew with members adding their own individual flavor to the mix. 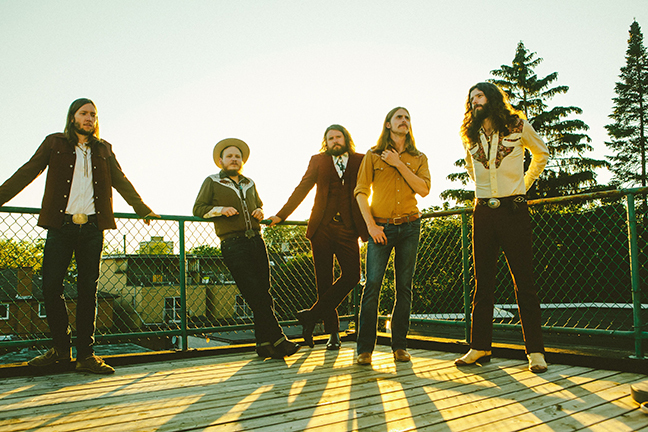 The band is the new twist in southern rock and they deliver it with a relaxed, worldly view. 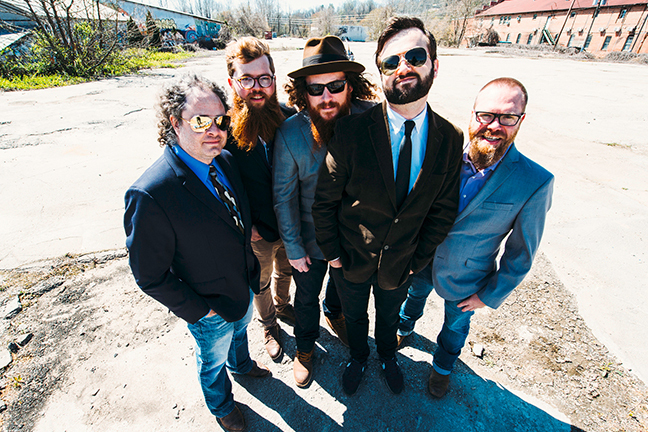 Their sound has been labeled “Mountain Rock” — a mixture of Southern Appalachian boogie, bluegrass-infused, funk-rock. 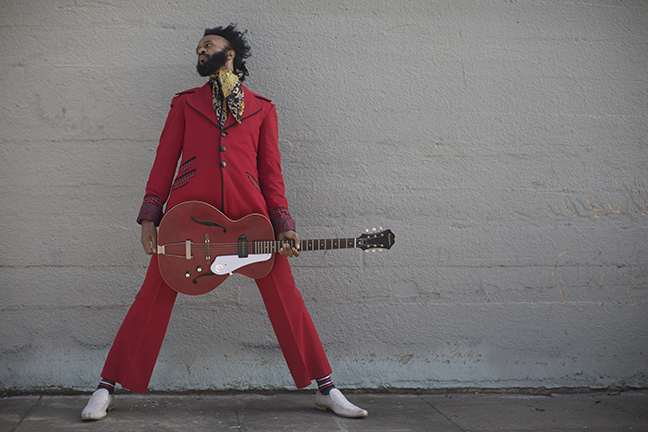 Fantastic Negrito is a man’s truth told in the form of black roots music. Each song a real story about a musician from Oakland who experienced the highs of a million dollar record deal, the lows of a near fatal car accident that left him in a coma, and is now in the phase of rebirth — despite his playing hand being mangled. After taking a long break, Negrito returned to music in 2014, performing in front of BART stations in Oakland and San Francisco to test his songs in front of ‘people who didn’t want to hear them.’ He realized if he could connect with them and get them to stop, he was on to something. From there things started to move — winning NPR’s inaugural Tiny Desk Contest in 2015; performing with Sturgill Simpson, Solange, Chris Cornell and Temple of the Dog; and ultimately winning the Grammy for Best Contemporary Blues album in 2017, for his debut full-length album The Last Days of Oakland. The first single from his new album Please Don’t Be Dead will be released March 23. Porch 40 delivers a hip take on modern Rock & Pop with funky undertones that highlight their clever arrangements. The band formed in 2012 at Western Carolina University in Cullowhee, NC. Word of their unforgettable live performances quickly attracted regional attention and and a loyal, growing following. In 2014 Porch 40 recorded their first album “Spread It Heavy” at Reflection Sound Studios in Charlotte, North Carolina, with Mark Williams (Southern Culture On The Skids) engineering, Jamie Hoover of the legendary Spongetones producing, and the renowned Dan Millice mastering. They were the last band to record in that historic studio. 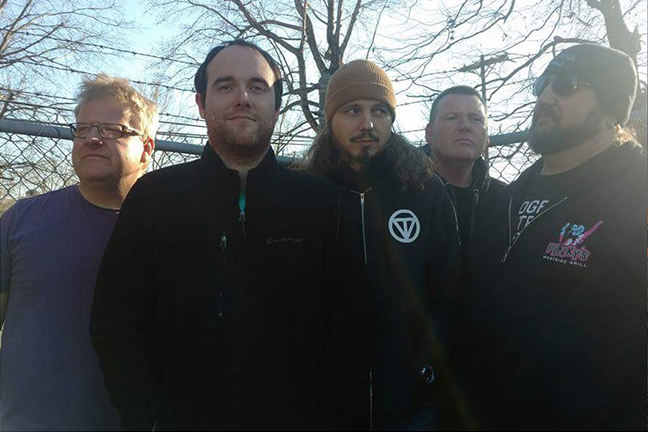 Most recently, Porch 40 wrapped up the recording of their highly anticipated sophomore album, with a release date yet to be set. This album showcases a diversely talented band always pushing their boundaries. The album is produced by Robert Mercurio from Galactic; mixed/mastered by Count aka Mikael Eldridge (Radiohead, Blink 182, The Revivalists, Portugal the Man) and was tracked at Parlor Recording Studio in New Orleans, LA. 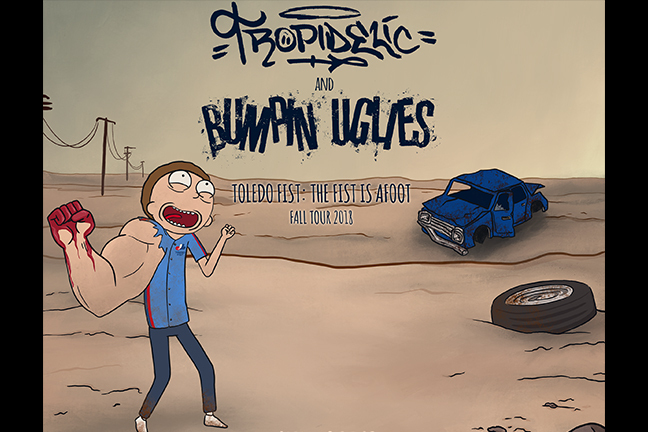 From festivals such as the famous Bele Chere in Asheville and the highly touted Sweetwater 420 Fest in Atlanta, to clubs across the southeast including The House of Blues in New Orleans, The Orange Peel in Asheville, and The Fillmore in Charlotte, the band has a committed and wildly dedicated fan base. Porch 40 is especially known for their extraordinarily intense live shows and high level of musicianship. They have shared the stage and performed with Blues Traveler, Galactic, The Doobie Brothers, The Marshall Tucker Band, REO Speedwagon, Leftover Salmon, Jackie Greene, Tauk, Big Something, Lukas Nelson and Promise of the Real, The Suffers, Dirty Dozen Brass Band and more. 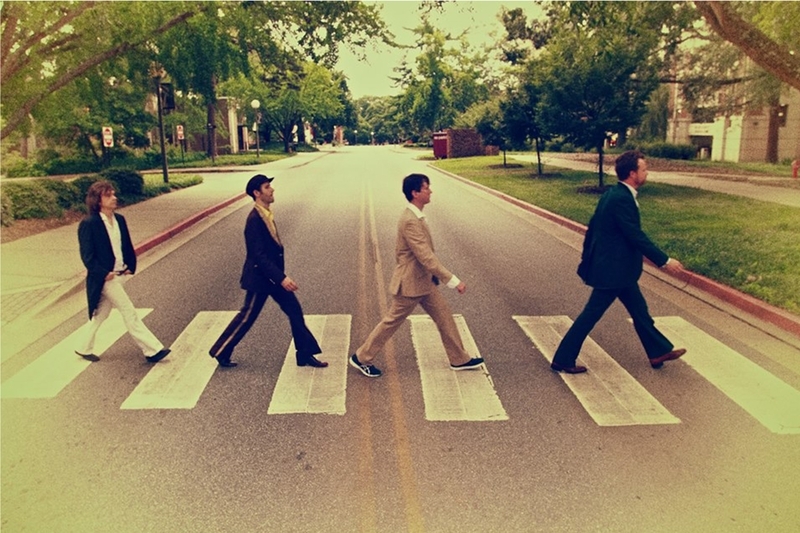 One of the most original and talented bands to come out of North Carolina, Porch 40’s engaging songs and energetic shows make them favorites everywhere they perform. 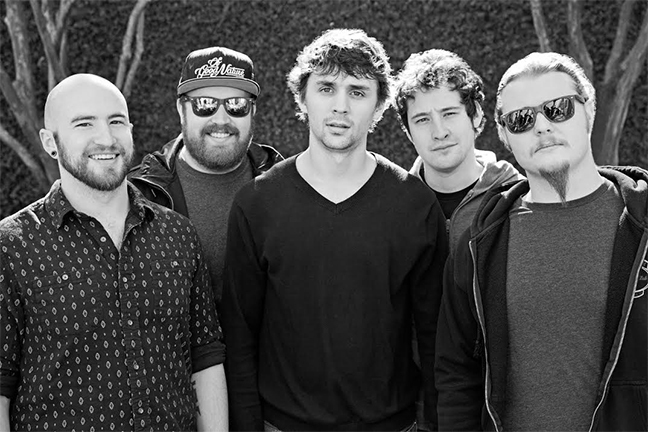 Scott Burr – Vocals/Saxophone, Andrew Duncan -Vocals/Rhythm Guitar, Carter McDevitt -Vocals/Bass, Mitchell Metz – Vocals/Violin and Brett Wilson – Drums. Big Mammas House of Burlesque is the Largest, Longest Running, Award Winning Burlesque and Variety show in the Southeast USA. 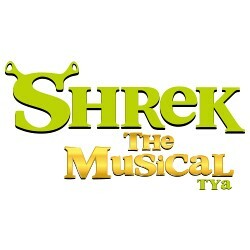 Founded in 2006 by Deana Pendragon,the show and its performers have won multiple awards, crowns, and accolades for performances and costuming throughout the years making it: ‘Not Your Average Thong and Dance. The songs were written, the band was ready, and the studio was booked. 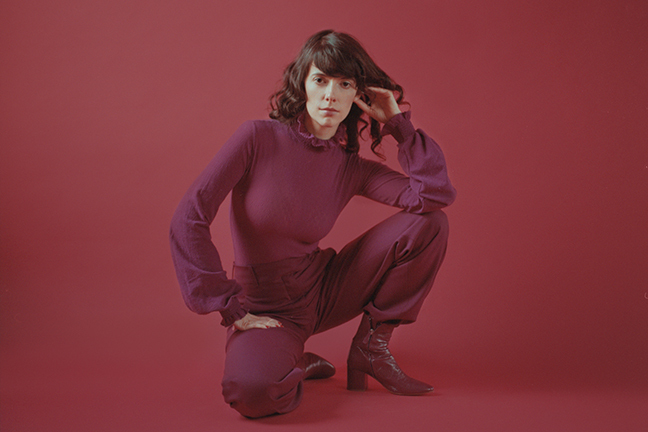 Fans and critics alike were eagerly awaiting the follow-up to Natalie Prass’s 2015 self-titled breakout album, a collection hailed by NPR as ‘a majestic debut,’ but perhaps no one was more eager for record number two than Prass herself. She’d waited what felt like a lifetime to release that first album and then toured the world relentlessly behind it, sharing bills with the likes of Fleet Foxes and The War on Drugs on her way to becoming one of the year’s most talked-about artists. By the time recording sessions were scheduled to begin, she was absolutely dying to launch the next chapter, which made what happened next all the more shocking: she scrapped the whole thing. The result is ‘The Future And The Past,’ a stunning work of art and a powerful feminist statement from an artist who’s only just begun to tap into the full range of her considerable powers. Reuniting Prass with producer and long-time friend Matthew E. White, the album is at once celebratory and defiant, capturing all the joy, frustration, fear and hope inherent in modern womanhood as it synthesizes the influence of everything from vintage gospel and 80’s pop to 90’s R&B and Brazilian Tropicália. Prass displays a rare gift for transcending time and place in her songwriting, tapping into age-old struggles for autonomy and equality that resonate profoundly in the present. Though she’d been honing her craft and paying her dues for years, Prass first emerged to international acclaim in 2015, when her debut record earned its rightfully rapturous reception. Rolling Stone swooned for the Virginia native’s ‘beguiling voice and refined taste,’ while Pitchfork praised her album as a ‘smoldering perspective on passionate romance,’ and The New Yorker simply called it ‘timeless.’ She appeared on the Martin Scorsese-helmed HBO series Vinyl, performed on the BBC’s Later With Jools Holland, and CBS This Morning, and racked up more than ten million streams on Spotify. Before long, she was headlining dates around the world and playing festival stages from Bonnaroo and Rock En Seine to End Of The Road and Forecastle. It’s a principle that guides Prass throughout the album, no matter her subject material. On ‘Short Court Style,’ she taps into Diana Ross disco and reflects on the bliss a healthy relationship can bring, while the hypnotic ‘Hot For The Mountain’ assures all the outcasts and misfits that they’re not alone, and the playful ‘Never Too Late’ conjures up a world where a wish upon a star can bring back lost love. Even in the album’s darker moments, like the Karen Carpenter-inspired ballad ‘Far From You’ or the cooing pop gem ‘Nothing To Say,’ Prass refuses to let go of her rebelliously optimistic streak. ‘I will never kneel when power is in fear and aimed upon me,’ she sings on the South American-influenced ‘Ship Go Down,’ adding ‘no no I am never drowning’ in a breathy delivery that’s light as a feather and tough as nails. Ultimately, ‘The Future And The Past’ is a record that’s about neither of those things. Instead, it’s about womanhood and the modern world and the things we can do right this very moment to make them both better through love and support and camaraderie. The album may have been born out of deep doubt and disappointment, but it insists on faith and optimism, and it succeeds because Prass leads by example, embracing her femininity on her own indomitable terms. ‘Music’s supposed to make you feel better,’ she reflects, and in that respect alone, she’s created a genuine triumph. You loved Beatles music when you were a kid. Now it’s time for YOUR kids to experience the magic of the Beatles LIVE in concert, as Abbey Road LIVE! plays a special all-ages ‘family matinee’ show. This rare event will be big fun for the whole family! “It really is about connection with people, and we’re so grateful we’ve gotten the chance to do that. This has been a totally wild journey, and we’re constantly blown away with possibility of what could be. 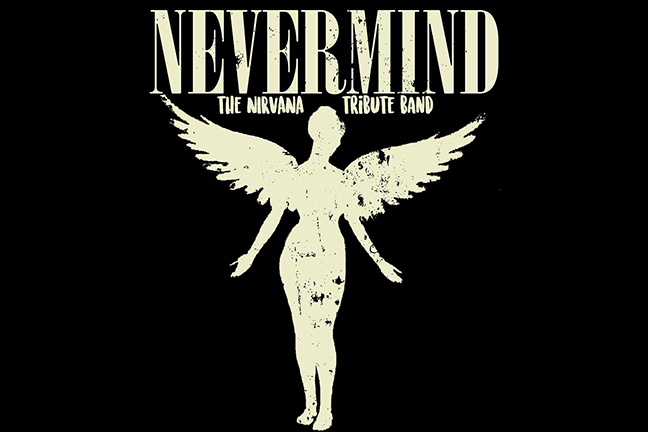 NEVERMIND is a tribute to one of the greatest bands of all time… NIRVANA! Nestled in the suburbs of Atlanta four guys from the local scene decided that their town needed more Grunge! Specifically… Nirvana. Coming from other bands and tributes they knew how to make this work. You need a serious love for the music, a strong work ethic to get it right and most of all you had to be as close to the real thing as possible! We are dedicated 100% to bringing you the full Nirvana experience! You want hits? We have them! You want deep cuts? We have those too! You want the gear and sound of the actual band? We’ve done the research and tracked down the equipment! NEVERMIND plays all over the country and we’ll see you all soon! Born October 1, 1975, in Charlotte, North Carolina, David Britt is a Country Music Recording Artist and Singer Songwriter. Although he began playing violin at the early age of three, David did not start writing music until he was thirty-five. Up until that point David was a top national junior tennis player, an ACC Tennis Champion at The University of North Carolina at Chapel Hill, and briefly, a Professional tennis player on the Men’s Pro Tennis Circuit. After hanging up his racquet, David started in the world of Commercial Real Estate. Several years of stellar success had been under his belt when the market crashed in 2008. Although Charlotte, North Carolina was somewhat insulated, the crash still took a toll on many brokers and developers. David, like many in his field, all of sudden had a fair amount of time on his hands. That’s when he began to write music. It was a life-long dream that found its way back into David’s life. 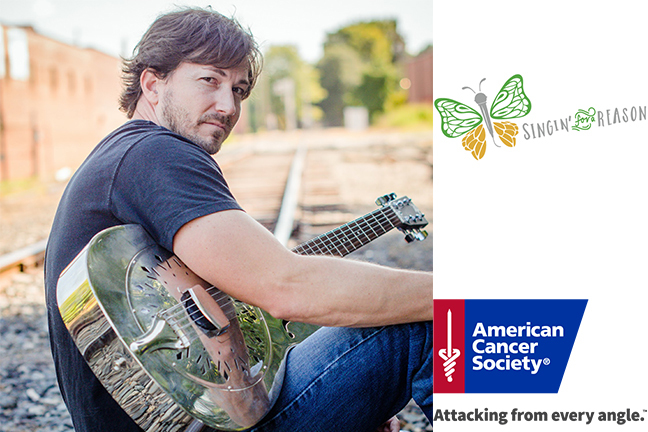 After teaching himself to play the guitar, David booked his first studio session with Producer Jason Scavone, and put together his first album, self-titled, DAVID BRITT, which was released in 2012. Since that time David has released 2 other albums, COUNTRY FLOW, and IT”S ON NOW, along with several other singles. David’s 4th album LOVE SONGS & LULLABIES will be released February 14, 2018. David has written over 2000 songs. Over the years David has made national news due to his philanthropic work in and out of the music world, and does many charitable concerts a year. He is also written and published three books. In October of 2017 David traveled to New York City to perform at Gretchen Carlson’s book launch for her Best Selling book, ‘Be Fierce.’ where he performed his hit tribute song to Gretchen, ‘Be Fierce.’ All proceeds from the song benefit Gretchen’s ‘Gift Of Courage Fund,’ which helps underserved women. David’s mentor, and one of his closest friends, is Joe Bonsall of the Country Music Hall of Fame group, The Oak Ridge Boys. Although David is full time in music, he is still heavily involved in commercial real estate with his company, David Britt Real Estate, LLC, where he is a broker and developer. David has two beautiful children. They reside in Charlotte, NC. ‘These dreams are more than paper things,’ sings Matt Quinn on Mt. Joy’s infectious folk-rocker ‘Astrovan,’ a warm, yearning bit of road-trip philosophy that posits the existence of a Deadhead Jesus cruising the dusty highways of the countryside, nursing a roach on his way to only He knows where. It’s an auspicious line from a band predicated on the revival of teenage dreams. Mt. Joy started off as a rekindling of shared musical ambitions between Philadelphia high school friends Matt Quinn (vocals, guitar) and Sam Cooper (guitar). Reunited in Los Angeles thanks to the ebbs and flows of adult life, the pair met multi-instrumentalist Michael Byrnes through a Craigslist ad. They named themselves Mt. 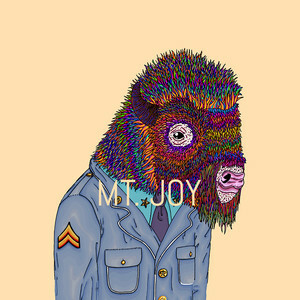 Joy as an ode to a mountain in Valley Forge National Park near Sam’s childhood home, and together, with Byrnes’ roommate Caleb Nelson producing, they recorded three songs and sent them out into the world, hoping for the best. ‘I knew I still wanted to write songs, but the realities of life made that dream seem pretty impossible,’ Quinn says. Much to the band’s amazement, ‘Astrovan’ accomplished the impossible. Without initial promotion or fanfare, the song took off on Spotify, racking up 5 million streams to date. ‘The irony of ‘Astrovan’ was that song was really about being stuck in a life and wanting to have the opportunity to pursue a dream, and in an instant it gave us that opportunity. ‘ Quinn says. Mt. Joy quickly transitioned from a part-time calling into a full-fledged band rounded out by Byrnes on bass, Sotiris Eliopoulos on drums and Jackie Miclau on keyboard. Come 2017, Mt. Joy hit the road, and hit it hard: They played tour dates alongside the likes of The Shins, The Head and The Heart, The Lone Bellow, and Whitney, and popped up at some of the summer’s biggest festivals, including Bonnaroo, Newport Folk Festival, Lollapalooza and Made In America. ‘We were put on some big shows very quickly,’ Quinn says. ‘The growth for us has been exponential – we’ve really just become a family that’s constantly pushing each other and the live show to be great.’ They eventually caught the attention of Dualtone Records and began work on their debut album. Steeped in folk-rock tradition and powered by the intuitive creative connection between Quinn and Cooper, the songs on ‘Mt. Joy’ depict Quinn wrestling with his own conscience, where the mundane and the fantastic collide as he processes tragedy, society, and love. Opener ‘I’m Your Wreck’ describes ‘monsters in (the) closet, using up the wi-fi’ as it cycles from its desperate, spiraling verses to its swinging, stubbornly optimistic coda, while the loping, plaintive chords of ‘Younger Days’ meditate on a frayed psyche and the fear of choosing the wrong path. ‘Sheep,’ with its collapsing, hoarse-voiced cry of ‘freedom was paid in blood,’ is a post-Trump salvo on the responsibilities of the fortunate to overcome political and social despondency. 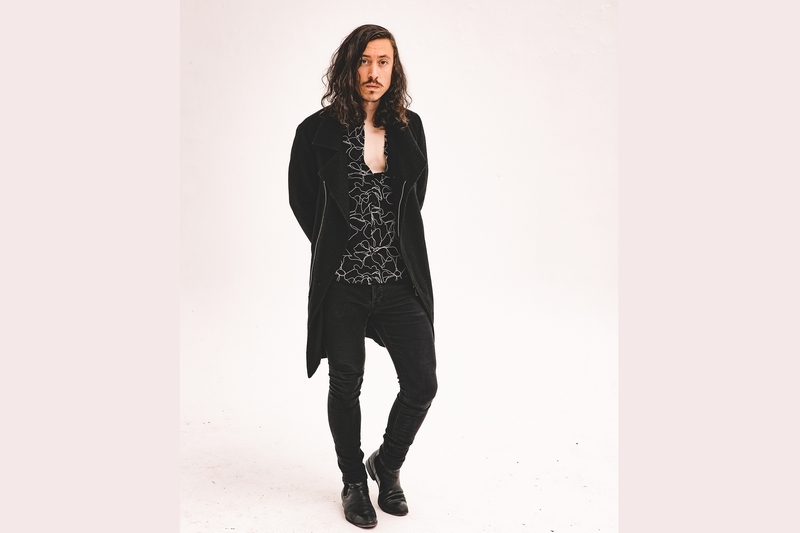 And on ‘Silver Lining,’ perhaps the album’s brightest moment, Quinn surveys the damage of hard drugs and the vicious cycle of addiction, as the song’s melancholic sentiment kicks into its fervid, defiant chorus, all shout-along vocals and trilling guitars. Roots of A Rebellion are a jam band from Nashville, TN playing heavy Reggae-Rock-Dub music for the soul. The band is known for their dynamic live performances showing their progressive sound and energy. 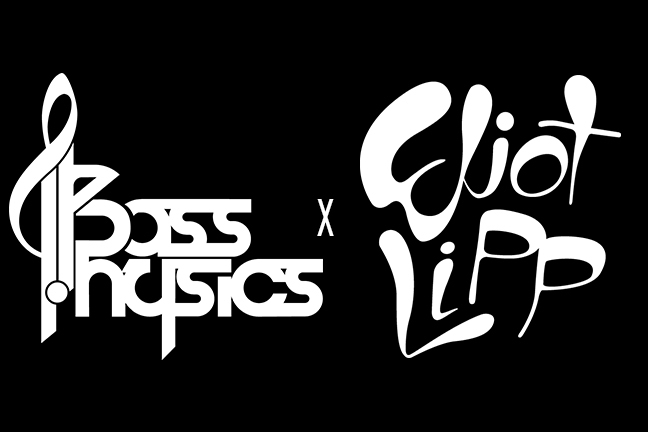 Bass Physics has made waves in the national music scene with appearances at Electric Forest, Euphoria, Decadence NYE and at Colorado’s legendary Red Rocks Amphitheater. Bass Physics currently touring the Pacific Northwest in Spring 2018 with Edamame and LAPA (Ilya Goldberg of Emancipator). Eliot Lipp is a producer, DJ and sound designer. After more than a decade living in Chicago, Los Angeles and New York (but equally home on the road), the intrepid producer has landed in beautiful Austin Texas. He’s been spending most of his time collaborating with musicians, DJing, performing and grinding in the studio. Theres no particular style of electronic music that takes the focus but theres always a good amount of hip-hop and funk influences. Over the years Lipp has developed a palette of electronic beats & soulful samples while crafting a unique style. 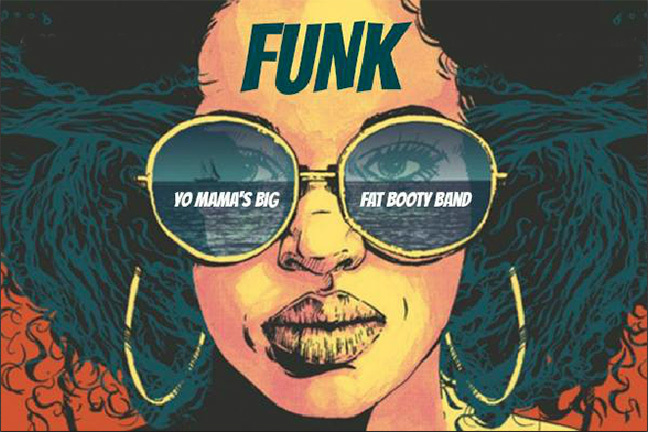 Yo Mama’s Big Fat Booty Band formed in 2002 and went through a few incarnations before culminating into the dynamic ensemble it is today. Mary Frances “Mama Funk” creates a sultry platform for her keyboard and keytar playing with her powerhouse vocals. Laying down the bottom is Ben Bjorlie on bass, Derrick ‘Dr Ock’ Johnson on trombone and Jonathan Cole on saxaphone. JP “Smoke Machine” Miller soars on guitar, and Lee “Insta Funk” Allen drives it all forward on drums. 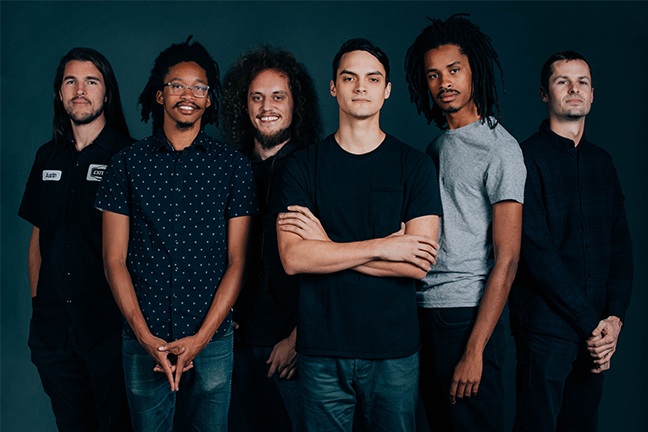 The six-piece funk rock outfit fuels their high-energy show with original compositions, triumphant horns, laid-back grooves and heavy backbeats. Recently, the band released their 5th studio album The Otherside on April 20th, 2018 as a follow up to their 2017 album Tumbleweed. The Otherside was recorded at Echo Mountain Studios in Asheville, NC with the help of Grammy-nominated producer and Carolina Music Awards Lifetime Achievement recipient- John Custer (Corrosion of Conformity) who has produced all 5 of the bands albums. On The Otherside, Big Something continues to build upon the post-apocalyptic peyote trip imagery from Tumbleweed, concluding the story of a nomad who has made it to the other side of his journey wandering through the night towards a desert sunrise. The album also showcases a different musical side of the band with a heavier, more focused and soulful collection of 8 songs including ‘Smoke Signal,’ and ‘Wildfire.’ Big Something is Nick MacDaniels (vocals, guitar), Casey Cranford (sax, EWI), Jesse Hensley (lead guitar), Ben Vinograd (drums), Doug Marshall (bass), Josh Kagel (keys, trumpet), and Rhett Huffman (keys). As Ambassadors of Cosmic Propaganda, The Wormholes fuse art and music to explore the symbiotic nature of the universe. This curated experience is an opportunity to transport minds to a realm where the illusion of ego is shattered. The band consists of multi-instrumentalists Ben Verner, Chris Dameron, and Chris Walters. Blending guitar, bass and drums with synthesizers and sequencers, The Wormholes experimental vibe is a tasty blend of heavy, melodic, and mellow. Space Pop. 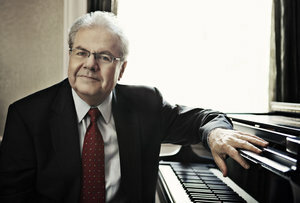 Emanuel Ax is a Grammy-winning American classical pianist. He is a teacher on the faculty of the Juilliard School. 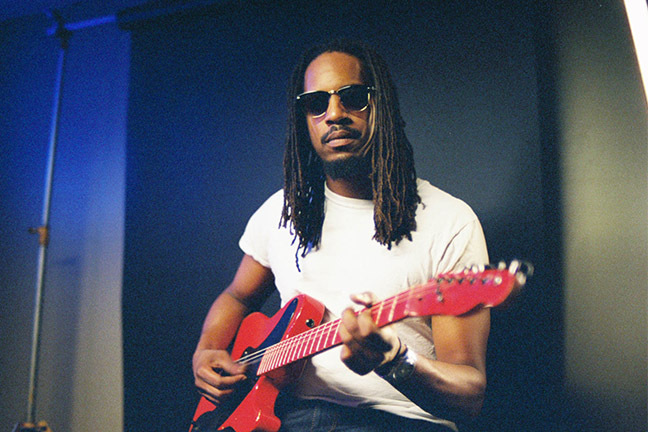 Black Joe Lewis & the Honeybears return with their most subversive record to date: an exploration of the sordid trappings of ego; isolation, consumption, waste and war. Sonically inspired by the hill country blues of Junior Kimbrough, cowpunk style of The Gun Club, and the southern soul of Stax, the album charts new territory with a heavy stream of lyrical consciousness. This is ?The Difference Between Me & You. The band’s fifth studio album works to explore the human condition through an impassioned and introspective lens. Mining his first decade of experience on the road,? ?The Difference? is influenced by a deep repertoire of sounds: the heavy grooves of Albert King, punked-up blues of R.L. Burnside, the storytelling of Bobby “Blue” Bland, and the soulfully layered horns of the Stones, are all omnipresent throughout. The Breakfast Club® is the longest running, most recognized ’80’s tribute band in the United States. 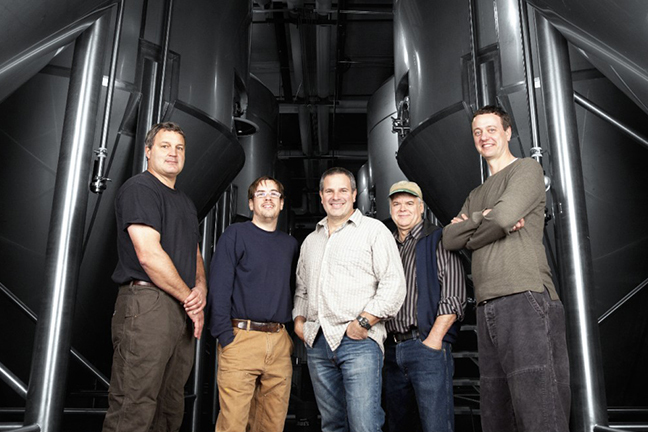 Formed in 1993, the group was the first of its kind. The mission was simple: create an entertainment group that embodied the enigmatic, creative, and buoyant spirit of music and live performances of the original MTV generation of the 1980’s. That mission remains today. This is NOT some wig wearing, mall fashion version of an ‘80’s cover band, lip syncing to tracks while pretending to play an unplugged guitar. This is real hair, real 1980s clothes, real vocals, and real musical talent. The Breakfast Club® is the real deal, performing live ‘80’s pop “better than the original artists” – Wilmington Star News. 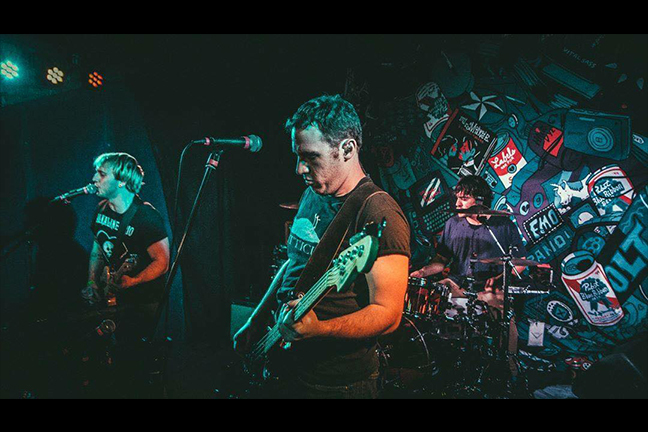 Formed in 2016, The Dude Ranch (fka Dude Ranch and the Girl at the Rock Show) has been bringing the best of Blink 182 to crowds across the country. They have headlined some of the country’s biggest rooms, and even performed at the 2016 Firefly Festival, earning them a nod from Billboard. 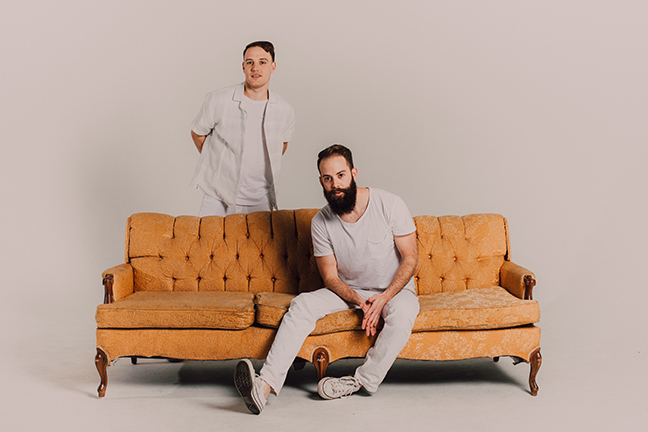 The band, consisting of Zach Falkow, Gerard Canonico and Micah Cowher, regularly features a rotating cast of members and guests, including members of Betty Who, Pronoun, Panama Wedding, and more. 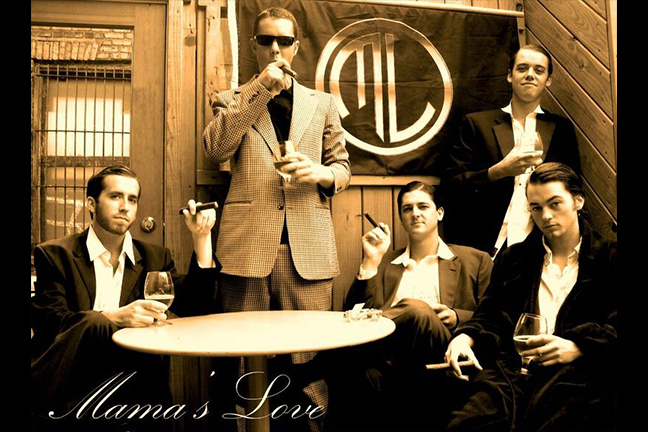 Mama’s Love is an American Rock band formed in Athens, Ga. in 2007. Like the town where the band resides, the sound is progressive with hints of classic tones. Live energetic shows, definitive song craftsmanship, and a genre-defying sound have formed the buzz that follows the Mama’s Love experience. They maintain a strong sense of tradition in classic American music, while staying progressive with their improvisational segments and song structures. 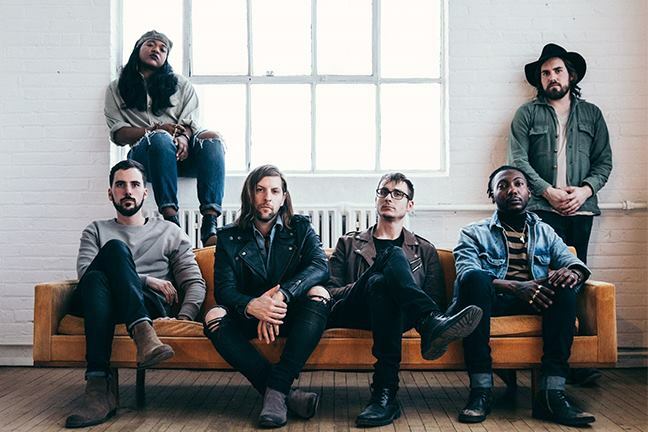 Catchy melodies, lyrical hooks, and layered harmonies are supported by a tight rhythmic foundation with a classic rock, funk, and americana flavor, harvesting their songs from the roots of time.